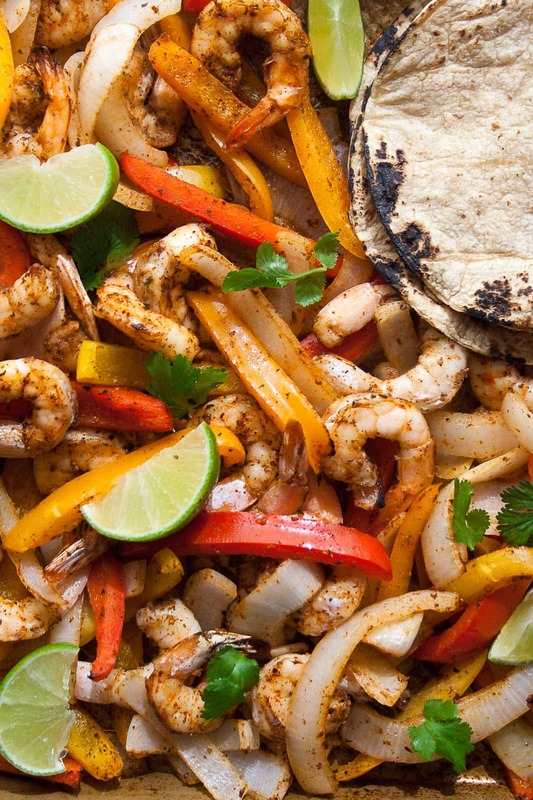 All the flavors of sizzling fajitas without the mess! 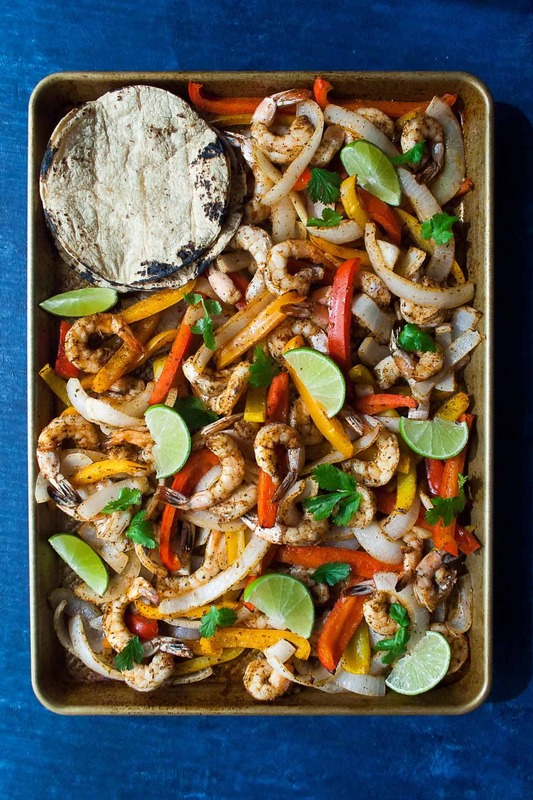 These sheet pan shrimp fajitas can be on your table in 20 MINUTES and are Whole30 approved! Because we all need dinner on the table in 20 minutes. This week has been hella busy. I have been doing a LOT of work for my granola business – and it’s been wonderful, but I’m v v tired. In fact, I only cooked dinner at home once this week… yikes. So yea, I could use a delicious, healthy, and easy dinner on the table in 20 minutes. YA FEEL ME? I’ll quit complaining. Honestly, I am thrilled I am busy and tired and everything else because I am chasing a dream and hustling hard to make it happen. And I’m 100% sure that this hustle is here to stay, so I’m figuring out to deal with the extra work and stress and appreciate you hanging out here with me. I love fajitas. And tacos. And really any kind of Mexican food. And I also really like making dinner fast and having that dinner be healthy, full of flavor, and oh so satisfying. 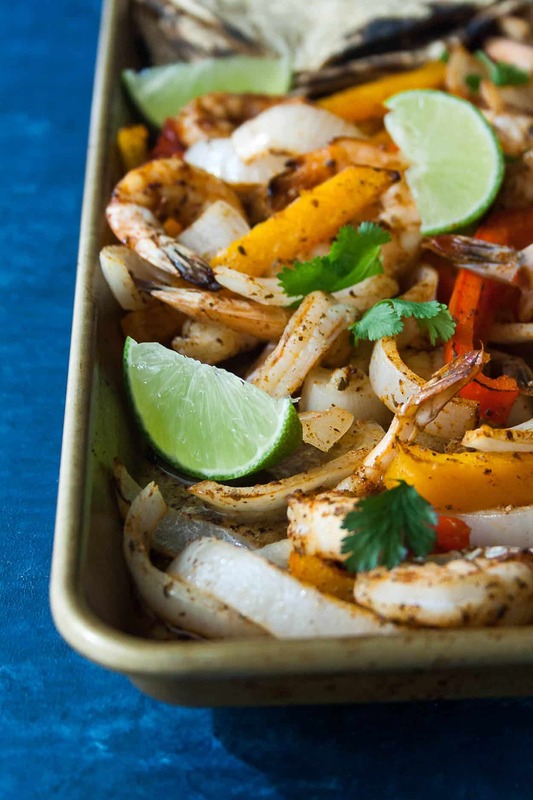 That is why I LOVE these sheet pan shrimp fajitas! 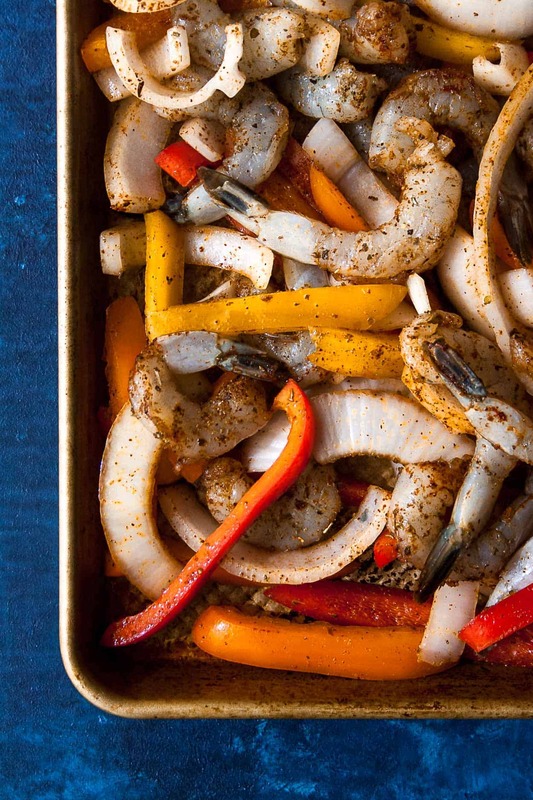 You literally mix everything in one bowl – I’m talking shrimp, peppers, onion, olive oil, and all the spices. Mix is all up and dump it on to one sheet pan. Yep, you heard that right. Pop it in the oven and you are good to go. If I were you, I would definitely slice up some limes and cilantro for serving. 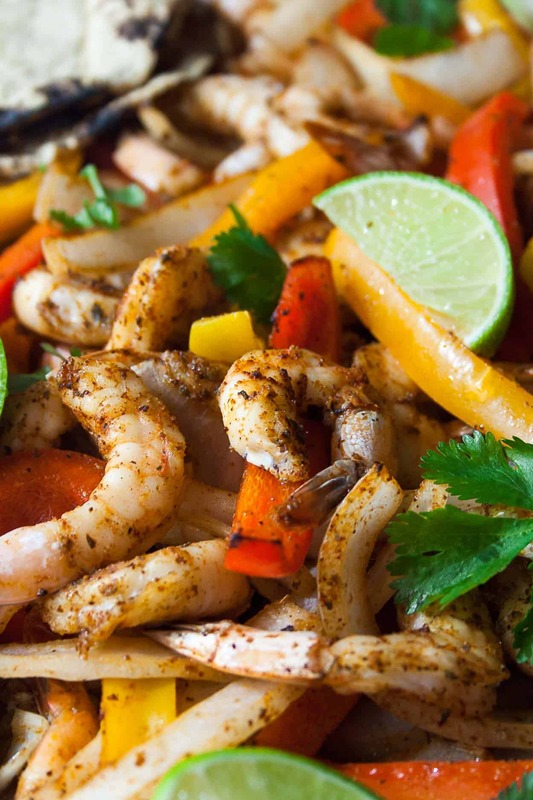 And obviously get out the guac too – we’re having a fajita fiesta in under 20 minutes! Looking for other easy sheet pan dinners? See them all HERE. 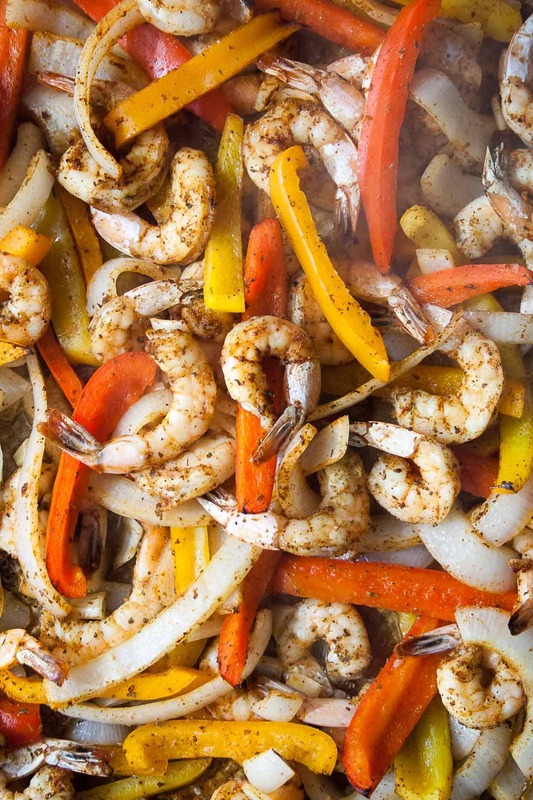 When you make these Sheet Pan Shrimp Fajitas post a picture on social media and use the hashtag #imhungrybynature for a chance to be featured! Cook at 450 degrees for about 8 minutes. Then turn the oven to broil and cook for additional 2 minutes or until shrimp is cooked through. Serve in warm tortillas or lettuce wraps (for Whole30!) with a squeeze of lime juice, cilantro, and avocado! Don’t forget to pin this for later! And check out all my other Whole30 recipes HERE.